The term ‘speech privacy’ refers to how well a conversation is overheard and understood by an unintended listener. The need to prevent sound from intruding into adjacent spaces in both closed and open-plan settings is a concern in various buildings. In healthcare settings, for example, patients can be exposed to situations in which they overhear conversations about other patients. In other instances, they risk having their own private information communicated in an environment where it can be heard by others. Examples include examination, consultation, treatment, patient, and meeting rooms, along with physicians’ private offices. Research shows such scenarios are likely to impact patients’ trust and their ability to discuss their health problems freely with physicians, which can then have serious implications on their care.1 As a result, it is critical private conversations with or about a patient are not overheard. The school classroom is another space where speech privacy is paramount, but for different reasons. According to the Acoustical Society of America (ASA),3 students only hear an average of 75 per cent of the spoken word in a classroom with poor acoustics. (While this is a U.S. study, similar results would be expected for Canada.) One reason for this is the level of background noise intruding into their classroom from corridors and adjacent classrooms, as well as mechanical equipment above the ceiling. Reducing the level of speech intrusion from adjacent classrooms improves students’ ability to hear and to understand their teacher. High levels of background noise can mask speech, reducing the students’ ability to not only hear, but also understand their teacher. Moreover, teachers must speak louder to overcome the background noise, causing vocal fatigue. Sound-absorptive materials can reduce some of the background noise in the room. However, the best way to reduce it is to keep sound from intruding into the classroom in the first place. As the studies also indicate, many of the acoustical complaints relate to speech privacy—overhearing an unwanted conversation or simply feeling one is being overheard.5 Moreover, overheard conversations can lead to unintentional breaches of confidentiality in sensitive work areas. Keeping private conversations private is thus a key concern in conference rooms, executive offices, and other similar spaces in an office environment. As this type of workplace emerges, it will become increasingly important to attain speech privacy not only in traditional closed spaces, but also in focus or concentration areas in open spaces. The challenge in areas such as these will be to balance the need for privacy with the need for a dynamic teaming environment in one space. The degree of speech privacy attained in a particular space is indicated by its Privacy Index (PI). It is expressed as a percentage, taking into account the acoustical performance of everything in the space, including ceiling, walls, floorcovering, furniture, and background noise level. The higher the percentage, the better the speech privacy. The Privacy Index is an especially important acoustical performance indicator in closed spaces. Unfortunately, PI ratings for many closed spaces often indicate less than confidential speech privacy, even with doors closed. One reason is the walls in most closed spaces stop at the ceiling plane. They do not continue to the deck above. Additionally, the rooms are generally not designed for dealing with raised voice levels, which is often the situation when dealing with elderly patients in healthcare facilities and students in classrooms. Keeping private conversations private is critical in executive offices, conference rooms, and other closed spaces in an office environment. Conversations within a space may be partially overheard, but definitely not understood beyond the confines of the space. Nearby occupants may hear muffled sounds, though the meaning of spoken words is not intelligible, and they are not distracted from what they are doing. Conversations can be partially overheard, and some words or phrases may be intelligible. Nearby occupants may hear some of the conversation, but the loudness of speech is not distracting—people can generally continue what they are doing. Non-intrusive speech privacy is a common goal for open-plan environments, especially where ‘knowledge worker’ productivity is a key issue. However, it is generally inadequate in functional environments with closed plans such as medical facilities, law firms, financial service organizations, or human resource departments, where confidential privacy levels are generally required. Most conversations can be overheard and are likely intelligible. Nearby occupants can understand most words and sentences, and the loudness of speech can be distracting for them. All conversations can be clearly overheard and are fully intelligible. Nearby occupants can understand all words and sentences, and the loudness of speech can be a constant distraction. To attain a specific level of speech privacy for a space, it is also important to be familiar with several of the acoustical performance parameters influencing it. The noise reduction co-efficient (NRC) indicates a ceiling’s ability to absorb sound from all angles. It is expressed as a number between 0.00 and 1.00, and indicates the average percentage of sound it absorbs. An NRC of 0.6 means a ceiling absorbs 60 per cent of the sound striking it. The higher the number, the better the ceiling acts as a sound-absorber. A ceiling with an NRC less than 0.5 is considered low-performance, one with an NRC greater than 0.7 is high-performance. Ceiling attenuation class (CAC) is the acoustical ceiling performance parameter most associated with speech privacy. It indicates a ceiling’s ability to block sound in one space from passing up into the plenum and transmitting back down into an adjacent space that shares the same plenum. CAC is an important consideration between adjacent closed spaces, as well as between adjacent closed and open spaces, and in open spaces where collaboration or teaming areas and focus or privacy areas are needed. It is measured according to ASTM E1414, Standard Test Method for Airborne Sound Attenuation Between Rooms Sharing a Common Ceiling Plenum. The higher the number, the better the ceiling acts as a barrier to sound intrusion between the spaces. A ceiling with a CAC less than 25 is considered low-performance, one with a CAC greater than 35 is high-performance. The right combination of NRC and CAC values represents the best approach to ceiling selection tailored to the needs of the space. When examining NRC and CAC values, specifiers should base ceiling selection on Underwriters Laboratories (UL)-classified acoustical performance parameters. A UL label on a carton certifies the ceiling panels have been tested by an independent third party on a continuing basis to ensure the panels’ performance meets or exceeds published values. Sound transmission class (STC) indicates a wall’s ability to block sound transmission through into an adjacent space. The higher the number, the better the construction acts as a barrier to sound transmission. A wall system with an STC less than 35 is considered low-performance, one with an STC greater than 55 is high-performance. Physician-patient confidentiality is a key concern in many healthcare spaces including examination rooms. The audibility of speech between adjacent closed spaces is not a problem until it becomes intelligible. As a result, the main function of ceilings in closed spaces is to limit the transmission of sound between adjacent spaces, especially when the spaces share a common ceiling plenum. covering the remaining sound with an evenly distributed electronic sound masking system that can be adjusted to meet the desired privacy level. 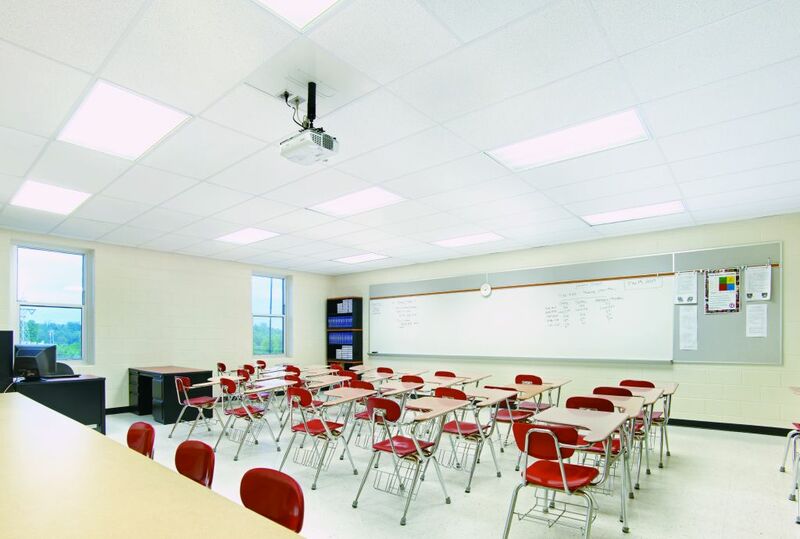 For speech privacy, one can specify a mineral fibre acoustical ceiling installed continuously across the ceiling plane, and combines high ceiling attenuation (i.e. CAC 35 or higher) with moderate sound absorption (i.e. NRC 0.6 to 0.7). It may be necessary to supplement the ceiling system by providing closure/seal components to stop sound leaks around ceiling penetrations. It is especially important to control sound leaks around return air grills and light fixtures. In terms of blocking noise, an effective combination of wall construction and ceiling must be specified. When space relocation is not an issue, a floor-to-slab fixed stud wall construction with a minimum STC 40 rating should be used. When relocation is problematic, either fixed stud walls or relocatable walls of floor-to-ceiling height with an STC 40 rating or higher and a ceiling with a minimum CAC 35 rating can be included. All components of the wall system should be engineered for STC performance and for the removal of problematic sound leaks around doors, wall system joints, and seals at the ceiling and floor interface. Construction of the wall is critical since any crack in it or in the wall joints will allow sound to intrude into the adjoining space. An acoustical ceiling with a CAC of 35 or higher is best in closed spaces to block sound from transmitting into an adjoining office, corridor, or open-plan area. It will also block sound from the adjacent space from intruding into the closed space, improving the acoustic environment of the closed space. Ceiling panels offering a combination of a high CAC and a high NRC provide the best solution for both keeping noise levels down and conversations private in either closed or open-plan spaces. Achieving the full privacy potential of closed-plan spaces may also require the use of electronic sound masking. If so, co-ordinated performance between the sound masking and ceiling/wall system is essential. Each component must be engineered to ensure the design of the sound masking system complements the architectural performance over the key speech frequency range. The result will provide the appropriate level of speech privacy with the minimum level of masking sound. Attaining speech privacy depends on good acoustical design and proper material selection. In this regard, the proper choice of a ceiling can serve to both limit the sound intrusion between spaces and affect the quality of sound within a space. It is a key element in creating an acoustical environment that can maintain speech privacy. Marshall Erdman & Associates, an architectural firm known for healthcare facility planning, design, and construction, has long prided itself on protecting patient privacy by reducing sound transmission between rooms. One of the methods it used was a suspended acoustical ceiling in combination with rigid fibreglass insulation boards installed vertically as a plenum barrier between the top of a ceiling-height wall and the deck above. The panels in the acoustical ceiling had an NRC of 0.50 and a CAC of 33. To improve patient privacy, the firm was looking for new ways to reduce sound intrusion levels between spaces even further while reducing construction costs. Installing the rigid insulation was extremely labour-intensive, so the firm desired a method that would provide the privacy level required while saving significant time and money. 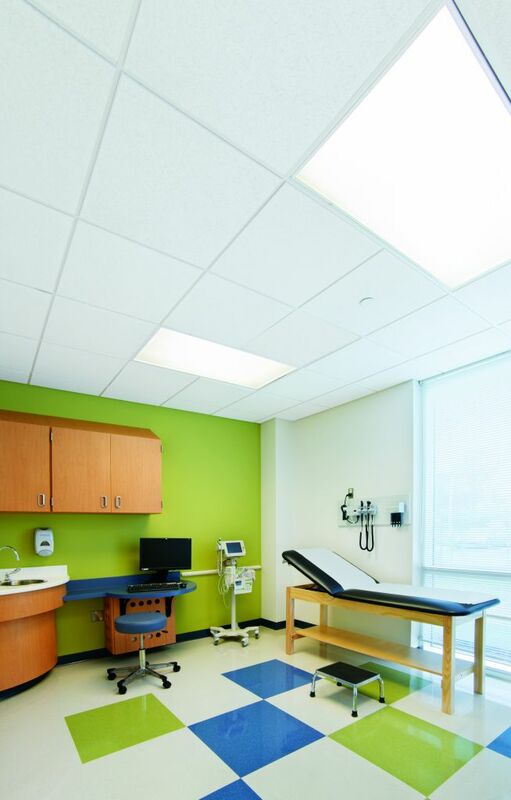 Consequently, as part of the design of a Palos Hills, Ill., orthopedic clinic, the firm decided to forego its traditional design and explore a new approach that eliminated the fibreglass plenum barrier and used a high-performance acoustical ceiling panel with ‘combination acoustics’ – an NRC of 0.70 and CAC of 40. Research showed it worked. Acoustical studies indicated a ‘confidential’ Privacy Index level was much more likely to be achieved in more circumstances than with the previous design. Moreover, the installed cost of the CAC 40 ceiling with no plenum treatment compared to a traditional ceiling with fibreglass board plenum treatment was at least 40 per cent lower, based on the number of plenum walls removed. The main function of the ceiling in closed spaces is to limit the transmission of sound between adjacent spaces, especially when the spaces share a common plenum. It is important to note that regardless of the space, esthetics do not have to be compromised when using a high-performance acoustical ceiling. 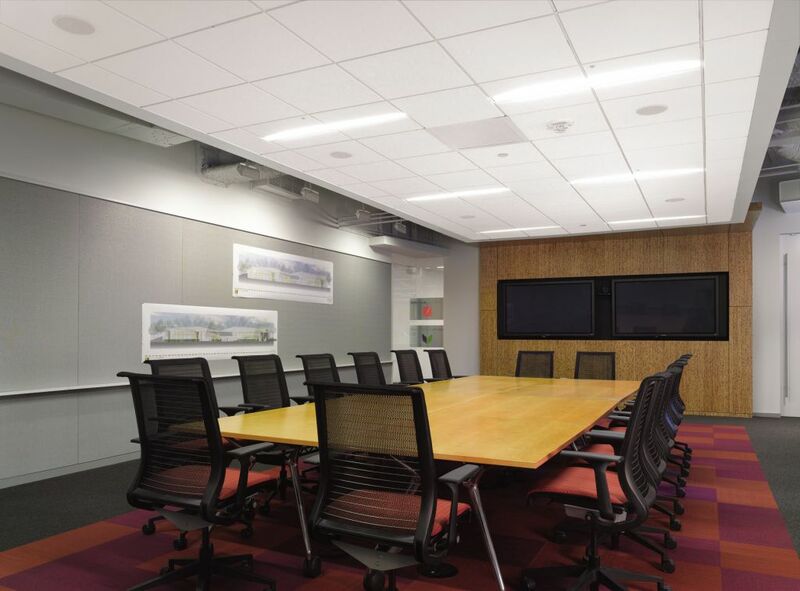 Many of today’s highest-performing acoustical ceiling panels feature a popular smooth, fine-textured surface visual. Additional options range from large panels more in scale with larger-sized spaces to panels with a unique edge detail that produces a 6.4-mm (¼-in.) reveal, minimizing visible grid and creating a ceiling plane more monolithic in appearance than ordinary suspended ceilings. Panels are also available with a tegular or reveal edge to create a shadow line that helps camouflage the suspension system. In addition to their esthetic appeal, tegular ceiling panels provide better acoustical performance than square lay-in panels because there is less leakage at the interface between the panel and the grid. Beyond traditional suspended ceilings, acoustical clouds or canopies can add enhanced acoustics in closed spaces such as conference and board rooms and in open spaces where focus and concentration are required. 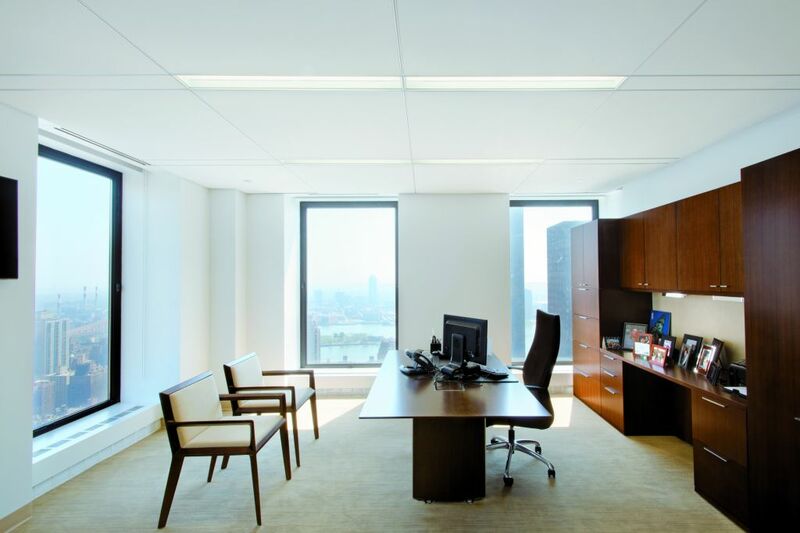 These free-floating ceilings provide esthetic appeal along with spot acoustics in the space below them, and can be customized to the needs of the occupants based on the desired outcome. 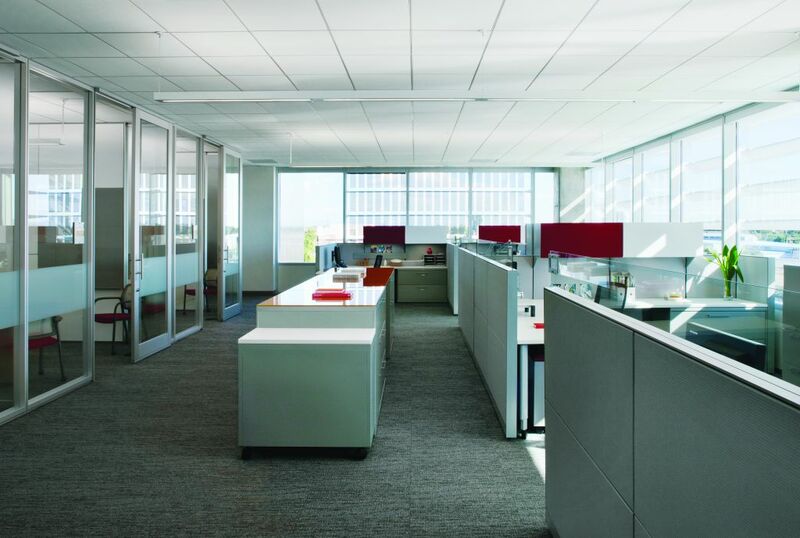 The ability to isolate sound in these spaces through balanced acoustical design not only helps achieve speech privacy, but also increases speech intelligibility in an adjacent space by reducing the amount of noise intruding into it. Adequate sound isolation also results in greater overall acoustic comfort and a reduction in noise-produced annoyance. 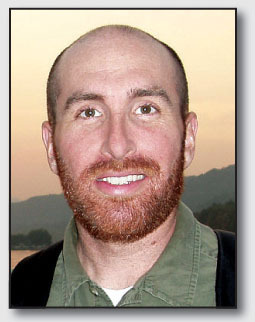 Sean Browne is the principal scientist for global acoustics at Armstrong Commercial Ceiling Systems. A member of the Acoustical Society of America (ASA), Audio Engineering Society (AES), and Institute of Electrical and Electronics Engineers (IEEE), Browne has engineering degrees from Florida State University and the University of Miami. He holds a patent for a power and signal distribution system for use in interior building spaces, and has been published in the journals of the International Symposium on Room Acoustics and the Acoustical Society of America. He can be reached at sdbrowne@armstrong.com. Control the content you see on ConstructionCanada.net! Learn More. Sign-up for your account with Construction Canada. Your account gives you unlimited free access to our E-book Collection, Newsletter Archives and our Digital Editions of Construction Canada. Please check the box below to confirm you would like to be added to Kenilworth Media’s various e-mail communications (includes e-newsletters, a survey now and then, and offers regarding the design-build industry*). Expand your knowledge with informative design-build news delivered right to your inbox. Please check the box below to confirm you would like to be added to Kenilworth Media’s various e-mail communications (includes e-newsletters, a survey now and then, and offers to the design-build industry*).